At PCA, we point students to the absolute truth in God’s Word. As Spiritual excellence is a maturation process we provide opportunities for students to share and exercise their faith. Scholastic normative measures such as SAT, ACT, National Merit Scholar, Advanced Placement (AP) and Duke TIP, confirm quality education is taking place at PCA. Our students are being placed at the nation’s very best colleges, universities and nationally-renowned institutions. Investing in your child’s education is essential. Your family may qualify for financial assistance. Tuition rates and financial assistance information are available here. Educational excellence begins with high-quality faculty and staff with spiritual vitality and professional competency. The love they regularly extend to students, the time they invest to improve their content knowledge and instructional skills and their commitment to Christian education sets them apart. PCA’s fine arts programs are strong and thriving. Talented students routinely achieve at high levels in areas of art, theatre, vocal music and instrumental music, and are consistently recognized at state and national competitions. An incredible faculty guides students in sharpening their skills and using their abilities in a way that is pleasing to the Lord. Our teachers are gifted artists in their own right, with a passion for sharing their love of the arts with students. PCA offers a range of athletic opportunities for students in grades 7-12 and currently offers swimming for 6th grade. The Lions participate in 16 individual and team sports and have a total of 52 varsity and sub-varsity teams. PCA students train and compete in state-of-the-art facilities including recently renovated Lion’s Stadium track & field, PCA Field House basketball court and weight training facility and Graham Field baseball diamond. PCA desires to impact others by serving locally and around the world to glorify God and reach as many people as possible with the Good News of Jesus Christ. PCA prepares students to see the world through the lens of a Biblical Worldview. Students learn to think critically and Christianly. They reach out others and demonstrate the love of Christ. Supporting Prestonwood Christian Academy has never been easier. This secure online giving portal allows direct giving to PCA. Your gift makes a difference. Every student at PCA benefits from the PCA Fund. While tuition provides access to the very things that most likely impacted your decision to select PCA to meet your family’s educational needs, gifts to the PCA Fund are necessary to help sustain and expand them. A gift of any size matters. "My favorite thing about PCA is the biblical worldview and the intentional training of students to be servant leaders." 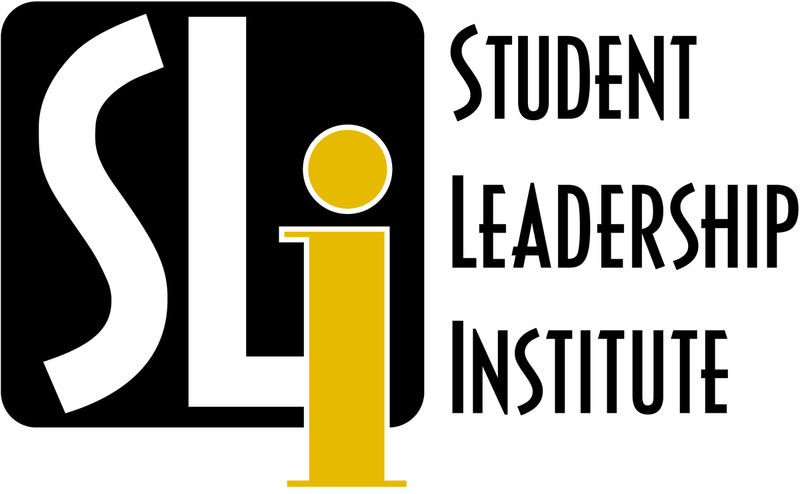 What is Student Leadership Institute (SLi)? The mission of the Student Leadership Institute at Prestonwood Christian Academy is to assist young people in the development of their leadership philosophy and skills by exposing them to a biblically-based, multifaceted and year-long program. SLi trains students with the definition of biblical leadership in mind. SLi uses a model of teaching that is founded from God’s Word and focuses on individual and institutional commitments to becoming selfless. It is the Institute’s goal that students connect these principles to their campus, community and church. Students are challenged to become more like Christ as they strive for a higher level of leadership training. In an April 2015 Diane Sawyer interview on 20/20, former Olympic gold medalist Bruce Jenner shocked the nation by coming out as a trans woman and took transgenderism from the tabloids to the front pages of Vanity Fair where “Caitlyn” Jenner was revealed. Since that announcement, transgenderism has skyrocketed into mainstream culture and has become a point of confusion and contention for legislatures, businesses, entertainers, athletes, parents, teachers, etc. Terms are always changing in the LGBTQ+ community. This list will be updated as often as possible to keep up with the rapid proliferation of queer and trans language. What is not “always changing in the LGBTQ+ community” is the concept that “binary is bigotry.” The concept of male/female binary construct runs counter to the LGBTQ+ concept of reality. An assault to counter male/female binary concepts is being waged and the results have been substantial in a very short time. Already legislatures, businesses, and universities that restrict restrooms to male/female have felt the pressure to be more tolerant and inclusive. Schools are beginning to allow trans athletes to compete not based on their biology, but rather on their expressed preference. Social media sites allow for multiple choices as do some states for driver’s, marriage and birth licenses. Many are confusing the women’s equality movement with transgenderism. For example, actress Emma Watson is the face and spokesperson for the HeForShe campaign. According to their website, “HeForShe is inviting people around the world to stand together to create a bold, visible force for gender equality. And it starts by taking action right now to create a gender equal world.” But a “gender equal” world that seeks advancement for women to the level of men is different from a world without gender. Notice the confusion in the statement from Emma Watson stating that she wants a world where gender is on a spectrum (sliding scale, not binary) but also wants one gender (women) to be given greater support and appreciation to move it closer in equality to the other gender (men). The confusion created by gender equality morphing into gender identity is that women come out on the losing end every time. In his book, "When Harry Became Sally," author Ryan T. Anderson from The Heritage Foundation identifies five areas of primary concern with transgenderism in the culture today. Notice that in the first three of the five cases mentioned, it is women who are placed at risk and in the other two, both men and women share equally in the peril. What will happen to women’s athletics (Title IX) if men are allowed to compete as women? Is it fair that men are allowed to compete as women? What can be done to protect women’s athletics and women who are competing? What should our culture do to protect “private spaces” for people – bathrooms, locker rooms, changing rooms – what are the potential problems and solutions for each? How is transgender ideology different than other protected classes of people – race, age, etc. What are the important distinctions and how can people address these differences without facing threats of hate and bigotry? How should Christians respond when encountering a trans person? Should a Christian call a trans person by their desired name and pronoun or does that perpetuate and reinforce a harmful delusion? Should Christians refuse service or assistance to trans persons in different situations – and what might those situations be? How does transgender ideolog differ from efforts toward equality for women? The topic of “Depression” was selected for several compelling reasons. First, the World Health Organization (WHO) states that Major Depressive Disorder, more commonly known as depression, is the most common disabling disease in the world now affecting more than 300 million people. Research also indicates that depression is on a steady and alarming rise in the past decade, especially as it relates to a younger generation. Second, the conversation about depression is happening in our culture today. The recent popularity of the Netflix series 13 Reasons Why (which has depression and suicide as the central theme of the show) and the increasing number of celebrities who are beginning to share via social media about their struggles with depression or other mental illnesses is constantly educating our students on this issue. Depression is also connected to the issue of suicide, which is now the second leading cause of death for teenagers. Last year alone, three students at Plano Senior High took their own lives. Several experts report that for every suicide, there are around 25 unsuccessful suicidal attempts. Finally, the effects of depression severely affect the ability of a person to be a successful student – from the way that person thinks (school work), to their ability to sleep (again, consider the effect on school work), their ability to relate to others (friends, teachers, family), and finally, the relationship between depression and increased risk behavior (drugs, alcohol, suicide, etc.). Servant leadership is an integral part of SLi and we hope to equip students with the tools they need to serve those they know suffering from depression. We want our students to talk about it and open dialogue to what they as individuals and PCA as a community can do better to address this issue. We will have several weeks of testimony and information presented. Students will then be asked to digest this information, wrestle with the concepts offered and present their findings and conclusions on this topic. Why are so many millennials are leaving the church? Our discussion was based on David Kinnaman's book You Lost Me, which examines the results of a nationwide survey of 18-29 year-olds with a Christian background. We discovered why so many are disengaging from the faith community and discussed ways to help churches avoid these "disconnects." Students were given the task of wrestling with an issue that’s been called “the defining challenge of our time.” From Wall Street to your street, the topic of Income Inequality usually brings a healthy and passionate discussion, and we want to prepare our students to engage in the important dialogue of their day. Students were allowed to select from several different scenarios from a maximum wage on CEO salaries to a comparison of US poverty vs. the world. Working with a two seniors, each group prepared a presentation where their “thinking” was challenged by SLi faculty. The goal for students was to deepen their critical thinking and analysis and for them to present their thoughts in a persuasive manner. While the conversation in their groups was dynamic and engaging, we want that same conversation to happen at home as well. Students were presented with information about various trends and developments that will literally shape the world as we know it! Students were asked to examine these changes and project what life will be like in the year 2031. Various articles and information was made available to the students to help them think creatively and critically about the world around them, especially focused on four primary areas of cultural significance: the family, religion, race and technology. What will the world look like, what can students do today to prepare for tomorrow, how should the church respond to the changing environment? As we look back and examine some of the great men and women who greatly influenced the course of history (for good and bad), the hope is that students will catch the vision of Statesmanship and that this vision will be ever at the forefront of their minds as they push forward with their own careers and goals and as they become the guardians of our American system of government. Another goal from this venture into Statesmanship is that students will be inspired to emulate some of the characteristics and qualities of these great men and women. With such a lack of Statesmen today, we hope to give students an opportunity to experience these Statesmen of the past. As President Truman once said about the great Statesman General George C. Marshall, “The more I see and talk to him, the more certain I am he’s the great one of the age.” Exposure to these great Statesmen, even if only in theory or discussions, will hopefully encourage young people to think great thoughts and pursue lofty and meaningful goals with their lives. British Prime Minister Benjamin Disraeli once said, “To believe in the heroic makes heroes.” We need to help students believe in the heroic once again, to give them a vision for Statesmanship since their “heroes” pale in comparison to the great men and women from the past. This broad topic allowed students to choose the issue that most interested them. The four subtopics were: The Poor, Legalization of Marijuana, Deterioration of Marriage, and the Family and the Spread of Radical Islam.